Photovoltaic (PV) panels are made from semi-conductor material such as silicon that is able to gather high concentrations of electrons. Through the phenomenon of photovoltaic effect, when a photovoltaic cell is exposed to sunlight, the impact of solar radiation onto the solar cell generates electricity (increasing the energy levels of the electrons in the semi-conductor). Electrons at high energy levels result in electro movement thus generate electric power! Photovoltaic (PV) systems provide green, renewable power by exploiting solar energy. We can use photovoltaic (PV) panels as an alternative energy source in place of electricity generated from conventional fossil fuels. Consequently, the more we use PV panels (or other renewable energy technologies) to cover for our energy needs, the more we help reduce our impact to the environment by reducing CO2 emissions into the atmosphere. Photovoltaic (PV) panels constitute a reliable, industrially matured, green technology for the exploitation of solar energy. Photovoltaic (PV) companies give valuable warranties for PV panels in terms of both PV panel life span (years of PV life) and PV panels’ efficiency levels across time. PV panels can last up to 25 years or more, some with a maximum efficiency loss of 18% only, even after 20 years of operation. Unlike wind turbines, Photovoltaic (PV) panels operate autonomous without any noise generation as they do not incorporate any moving mechanical parts. In some cases photovoltaic (PV) panels may be mounted on adjustable rotating basis which is mounted on a fixed pole and allows some movement for better and longer solar tuning – turning the solar panel to follow the sun. Even in this adjustable PV systems, the movements are very moderate, almost negligible, and do not generate any disturbances. 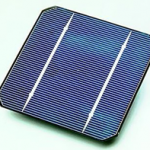 With respect to operating costs and maintenance costs, Photovoltaic (PV) panels, unlike other renewable energy technologies, require minimum operating or maintenance costs; just performing some regular cleaning of the panel surface is adequate to keep them operating at highest efficiency levels as stated by manufacturers’ specs. Photovoltaic (PV) panels can be ideal for distributed power generation as they are highly suitable for remote applications, such as in a remote farmhouse. By maintaining relatively small power generation stations in a distributed power network, we can minimize energy losses in the network that are caused by the long distance between power generation and power consumption points. By utilizing small photovoltaic PV power stations, we can achieve cost reductions on the power network from increased network efficiency and lower power losses; similarly, distributed small scale Photovoltaic (PV) stations will also lead to lower capital expenditure for the construction of power network lines. One of the most important advantages of Photovoltaic (PV) systems is actually inherited by all solar energy systems in general; solar energy peak power generation usually coincides with peak energy demand (e.g. in hot summer days). Consequently, solar energy systems is one renewable energy technology that can assist in balancing and smoothing-out the energy load curve and facilitate increased penetration of renewable energy technologies within the power mix – It should be noted that successful penetration of renewable energy technologies into the energy production chain is largely dependent on our technological ability to resolve reliability issues of renewable sources such as unpredictability of environmental conditions and intermittent supply of power generation. Energy storage is the key to resolving these issues but technological progress in this field is still not able to provide effective and viable solutions. Photovoltaic (PV) panels have become very popular in the past years particularly in both home energy applications (domestic level) and small-scale power generation applications. Their high popularity has been driven on one hand by the ease of installation and use and, on the other hand, by reduction in PV costs (PV investment and installation) driven by industrial maturity of PV technologies. In the recent past, prices of Photovoltaic (PV) systems have witnessed a drastic decrease bringing the total cost around $1 to $1.3 per PV watt installed (cost for complete PV deployment). This reduction in PV prices together with tremendous proliferation of PV panels applications in a range of different applications, such as solar energy for home at roof tops, PV panels at building facades or through incorporated systems for PV on window glass, small or large power generation plants, or the use of photovoltaic cells for powering specific equipment or for co-generation of power systems, etc., have placed photovoltaic PV panels high up on the list of solar energy solutions for now and for the future. Although PV prices have seen a drastic reduction, the cost of installing photovoltaic PV systems is still a considerable investment that may not be viable without financial incentives; that is why installations of PV systems are amongst green investments that are being subsidized by governments (e.g. FITs or Tax incentives) in order to make their investment economically viable. Following their popularity and being a proven technology, photovoltaic (PV) panels are amongst the first solar energy solutions promoted by financial institutions (banks) through green-power financial incentives and green-projects. Financial institutions are now offering green-loans mortgaging leveraged debt on the cash flows that Photovoltaic PV systems will generate. One important example is PV applications under government subsidy schemes through feed-in-tariffs (FITS) where utility providers buy electricity produced from Photovoltaic PV panels at a fixed price (e.g. $0.25 cents per kwh) – FITs vary depending on location, and efficiency of the technology used. Perhaps the biggest disadvantage of Photovoltaic (PV) panels is their limited efficiency levels; compared to other renewable energy sources – such as solar thermal – PV systems have a relatively low efficiency level ranging between 12-20%. Although there is continuous technological development in PV materials for improving existing systems’ performances or creating new products, PV systems are still limited by the capabilities of the materials used in PV cells (thin-films PV, mono or polycrystalline cells etc.). Another disadvantage of Photovoltaic PV panels is that they produce direct electric current which must be converted to alternating current (AC) before it can be used for consumption (either to be transferred to the power grid, or directly for own consumption). To convert DC to AC, PV panel systems use inverters, expensive electronic equipment and with certain technological limitations, adding to the overall system’s cost especially at larger power sizes. Although supply of solar energy is, usually, concurrent with peak energy demand (e.g. for cooling in hot summer days), one of Solar Photovoltaic (PV) panels’ main disadvantage is that it delivers only in direct sunlight and it cannot store excess amounts of produced energy for later use. This is particularly important when energy is needed for the night when there is no sunlight or when weather conditions are fluctuating (e.g. 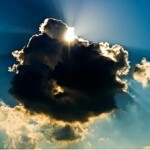 sensitive to cloud shading) conditions under which PV efficiency is further decreased. Consequently, reduction in PV panel efficiency will result in a lower output (kwh) which greatly influences financial performance of your PV investment. Last but not least, it should be noted that low voltage output or fluctuation in PV electric current may lead to increased waste of electricity since it cannot be transmitted onto the network (intermittent output).